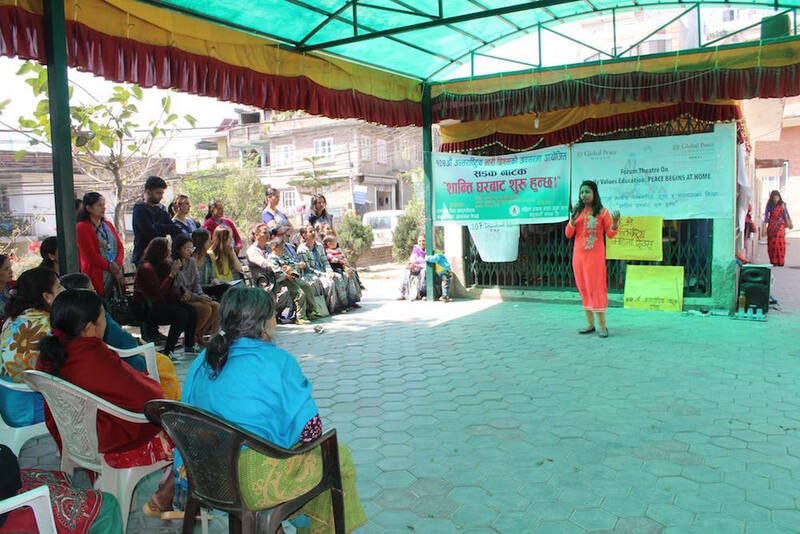 Global Peace Women (GPW) Nepal drew over 350 men, women and youth in a Forum Theater to open dialogue on the importance of family values to creating peaceful societies. The forums were held at several locations, including six different Community Learning Centers in Manamaiju and Shikharapur, the Divine Age Home and Nagrik Sachetana Kendra throughout the months of January and February. To date, GPW Nepal has engaged over 1,900 participants in the Forum Theaters. 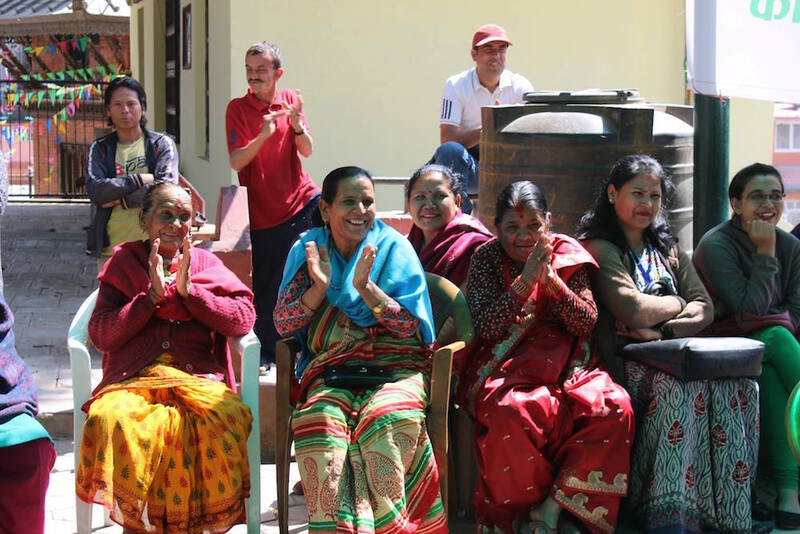 The Forum Theater was established by GPW Nepal as an awareness program to uplift the value of women within the family, promoting peace among extended family members and the greater society. Actors and narrators use drama to highlight the value of the unique complementary qualities of both women and men in raising healthy families and discuss ways to foster respect and cooperation among genders for the sake of the whole family. Audience applauds GPW Nepal volunteers after the Forum Theater performance. Chairperson of Nagrik Sachetana Kendra, Mana Kumari Subedi, praised the effectiveness of the program. The forums empower individuals and families to be the agents of social change. In a survey conducted before and after the forum, participants who said children should be taught about family values for creating peaceful societies increased from 25% to 80%. Strong families are the building blocks for healthy societies and the beginning of a peaceful world. Global Peace Women’s ongoing family values education programs continue to bring awareness to the vital role of women leadership within the family and larger community. Learn more about how GPW is Strengthening Families and Uplifting the Value of Femininity in the Family.